Lexapro Half Life: Will Escitalopram Show Up On A Drug Test? As many as 16.2 million Americans have experienced a major depressive disorder at one time or the other. Most of those affected use conventional antidepressants such as Escitalopram as part of their medical treatment. 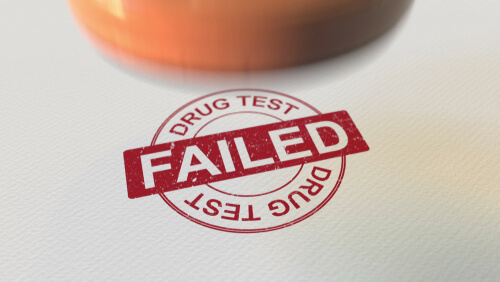 For many people taking Escitalopram, there is usually a concern about going through a standard pre-employment drug test and how it will affect their prospects of getting hired. First, it is important to understand that Escitalopram is not among the drugs screened for in a standard drug test. However, some drugs give false positive results. This article reviews how long it takes for Lexapro to get out of your system and whether it shows up in a standard drug test. It also gives tips on how to quickly flush it out of the body if the need ever arises. Does Lexapro Show Up On A Standard Pre-Employment Drug Test? Can Lexapro Show False Positive Results On A Standard Drug Test? How To Flush Lexapro From The System? How Long Does It Take To Get Lexapro Out Of Your System? 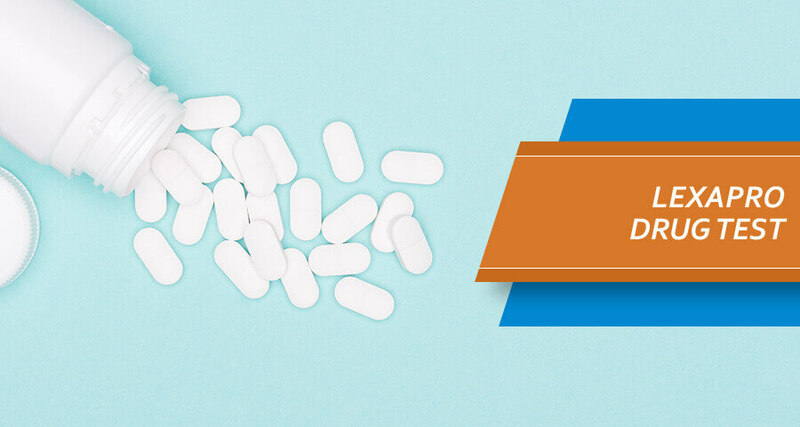 Different factors affect how long it takes Lexapro to get out of your system; they include factors such as the amount of drug taken, age, weight, and duration in which Lexapro has been consumed. Also, the presence of Lexapro will vary according to the kind of specimen used; this shall be reviewed below. Nonetheless, it is important that one does not attempt stopping Lexapro cold turkey as this may trigger SSRI withdrawal symptoms. It is also good to consult a physician before starting Lexapro so that they can rule out any contraindications that may prohibit one from using this antidepressant. How long it takes to get Lexapro out of the blood system is affected by its half-life, which is the amount of time it takes to remove 50% of the drug from the body. The half-life of Lexapro is 27-32 hours, meaning that Lexapro will be present in the blood for up to 6.5 days after the last intake. The daily dosage and duration will also determine how quickly the drug will be expelled from the system. How long it takes to get rid of Lexapro is however not affected by the time one takes the drug, though the best time to take Lexapro is in the morning and evening. How long until Lexapro is out of your urinary system will depend on some factors. Lexapro is metabolized in the liver into S-DCT and S-didemethylcitalopram (S-DDCT) and excreted through the kidneys (18%). An urine test will show a positive result for Lexapro 27 to 32 hours after it has been consumed. Considering Lexapro half-life, it will take even longer to get Lexapro out of the urinary system. A urine test may show the presence of Lexapro for up to two weeks after the last ingestion because of stored residual metabolites. Factors such as dosage, weight, and age will also affect how fast Lexapro is metabolized. How long does it take Lexapro to leave your salivary system? Once ingested a saliva test will detect escitalopram after 3 to 6 hours. While urine tests may detect prolonged use of a drug, saliva tests allow for a very short detection time. Saliva tests will confirm if one has had any Lexapro in the last few hours. This can be used by companies to prevent workplace accidents that may be the result of people working under the influence of certain drugs that may impair their judgment or critical thinking skills. 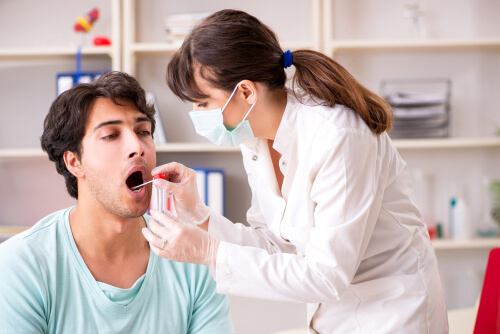 Sensitive saliva tests may detect Escitalopram for up to three days after the last ingestion. Once a person consumes Lexapro, it is passed through the blood vessels into the hair follicles, which makes a part of the integumentary system. Hair grows at a rate of 0.5 inches per month, and Lexapro will be present in the hair follicles for up to 3 months. So to test, one and a half inches of hair is cut from the scalp upwards. It doesn’t matter if the hair is washed, bleached or colored, Lexapro will remain in the follicle and will test positive for an Escitalopram drug test. It takes about 5-7 days for the hair to grow out of the scalp; this is the same amount of time it will take for the hair sample to give a positive result. Therefore, a hair strand test cannot detect the presence of Lexapro that had been consumed in less than a week. Unlike saliva and blood tests, Lexapro will be present in the hair shaft for a long time. It is also difficult to tamper with this sample as it is barely add anything to it. What Is The Escitalopram Half-Life? The half-life of Escitalopram is the amount of time it takes for half the amount of the drug ingested to be eliminated from the body. It takes about five half-lives for a drug to be eliminated to undetectable levels in the blood. Lexapro half-life is about 27-32 hours. This means that it will take about 150 hours for Lexapro to be reduced to undetectable levels in the blood. The relatively low price, as well as the discounts like Escitalopram coupons at the pharmacies, make this drug quite attractive for the regular use. That’s why many long-term users are concerned whether the drug test will show the presence of the medicine in the body. Will Lexapro Show up In a Standard Pre-Employment Drug Test? With more and more Americans engaging in drugs of abuse, companies are becoming even more vigilant in screening for drugs abuse as a pre-employment prerequisite. Though Lexapro is not a typical drug of abuse, some people may use it for wrong reasons such as achieving weight loss with Lexapro. Companies will use either a 5, 10 or 15-panel screening test, depending on the nature and specialty of work involved — a five-panel test screens for marijuana, cocaine, amphetamine, opiates, and PCP. A 10-panel test will additionally screen for barbiturates, propoxyphene, methaqualone, benzodiazepines, and methadone. 15-panel tests will screen for buprenorphine, oxycodone, MDMA, meperidine and tramadol use. Escitalopram does not cause euphoria or physiological dependence, even when one has an escitalopram oxalate high. This means that it has a low chance of abuse. Hence, it is not among the drugs screened for in a standard pre-employment drug test. As much as Lexapro is not routinely screened in a standard drug test, false positive results may occur when a drug has a similar metabolite structure to the drug being looked for. In such a case, confirmatory tests need to be carried out. SSRIs such as Zoloft (sertraline) have a similar metabolite structure to benzodiazepines and LSD. Therefore they may give false positive results that need confirmatory testing. Lexapro hardly ever gives any false positive results, as do the other SSRIs. However, if one is on Lexapro and needs to take a drug test, it is good to inform the lab about this so that they can be on the lookout for any false triggers. For example, Escitalopram and Wellbutrin can be prescribed together in case of the incomplete response to one of the medications. In this case, the drug test results might be affected by the combination. Should one be concerned about testing positive for Escitalopram for privacy or other reasons, there are a few things that can be done to flush it out of the system fast. However, do not attempt to quit taking Escitalopram abruptly as this may trigger withdrawal symptoms such as malaise, lethargy, sleep and sensory disturbances, and migraines. As much as these symptoms are not life-threatening, they may worsen the depressive disorder. In case one feels it too difficult to remove the Escitalopram from the body without professional assistance, there are many drug addiction treatment options available. Qualified detox specialist will make sure to flush it from the patient’s body without the possible adverse reactions. In case of severe dependence, rehab from drugs can also be required. Talking to a physician or seeking help from an addiction center may prove helpful.